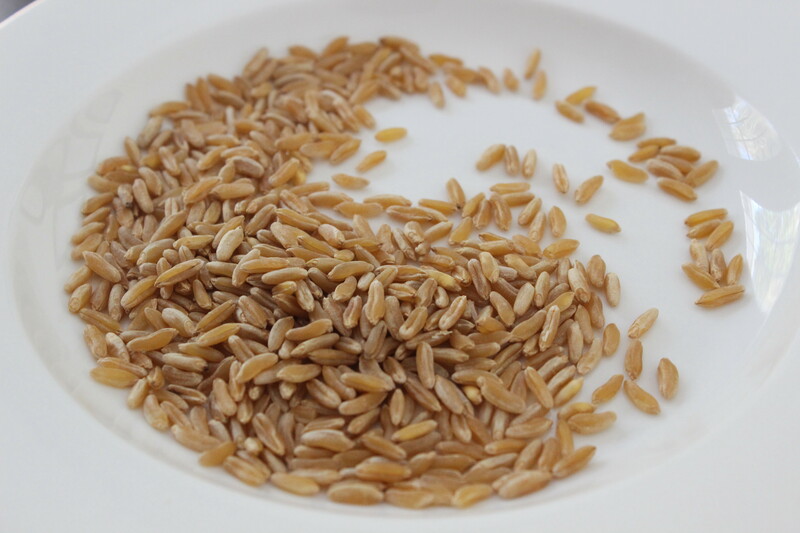 Wheat berries. 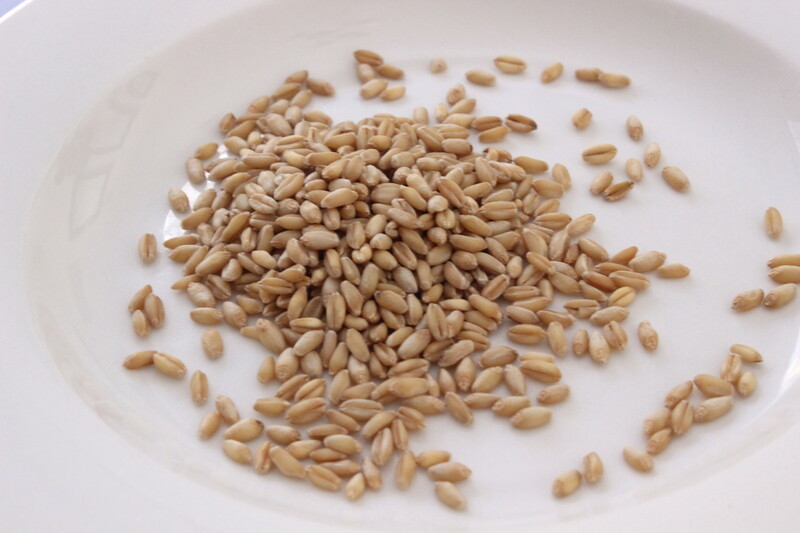 Soft white winter wheat berries, to be specific. Oats. Make you strong, like bull…or a Clydesdale. 1. Soak 1 cup of grain in water, overnight. 2. Drain and place in a medium saucpan. 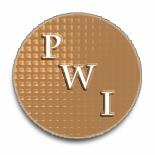 Cover with water by an inch or two. 3. Bring to a boil, cover, reduce heat to a simmer, and cook until tender, 45 min to an hour. 4. Drain any excess water, return to pot and while it is still warm, add a healthy pinch of salt & mix. It’s essentially the same as cooking beans. So, make a big batch of both on a Sunday and use them through the week. 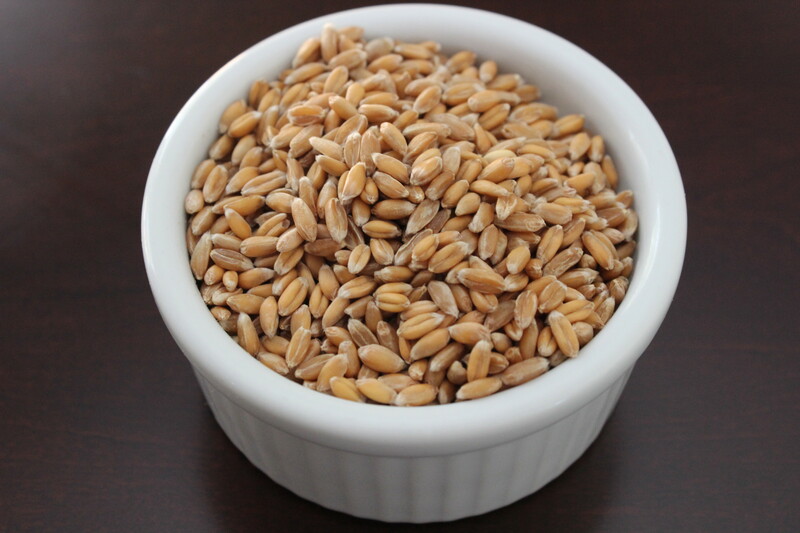 To me, wheat berries, spelt, Kamut, and Farro are interchangeable. They have a nutty, neutral, mild flavor. They are hearty and chewy and do very well in soups. I like to eat them right out of a bowl, drizzled with some olive oil and hot sauce–sambal, sririacha, or zhug. (I’m going to keep linking to the lovely blogger, Sarah Melamed, until she notices me…) Her blog is fantastic, and you should read it. 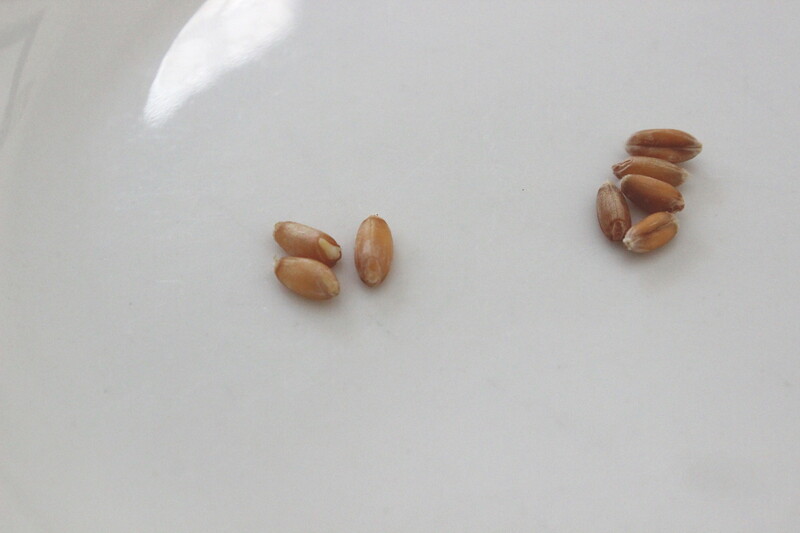 Spelt–on the left, soaked (see the little germ starting to grow?) On right, unsoaked. I also like to use groats in place of rice when I serve curries. I imagine they would be great in pilafs, but I’m going to level with you–I have had zero success in the pilaf realm. We all have our strengths and weaknesses. I can poach eggs freehand, so I’m good with the pilaf thing. 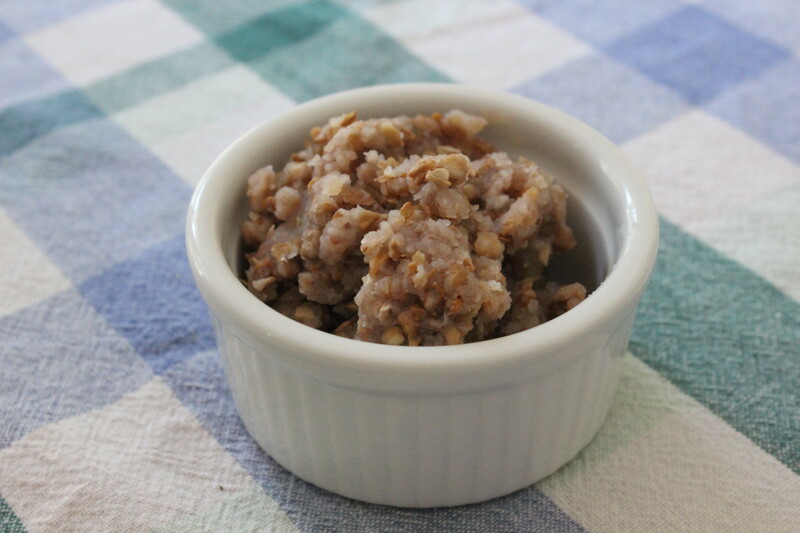 Wheat berries, spelt, Kamut, and Farro are also very good as sweet or savory breakfast grains. A little yogurt & dried fruit are nice additions, as is a drizzle of honey. Oats are kind of…oaty. 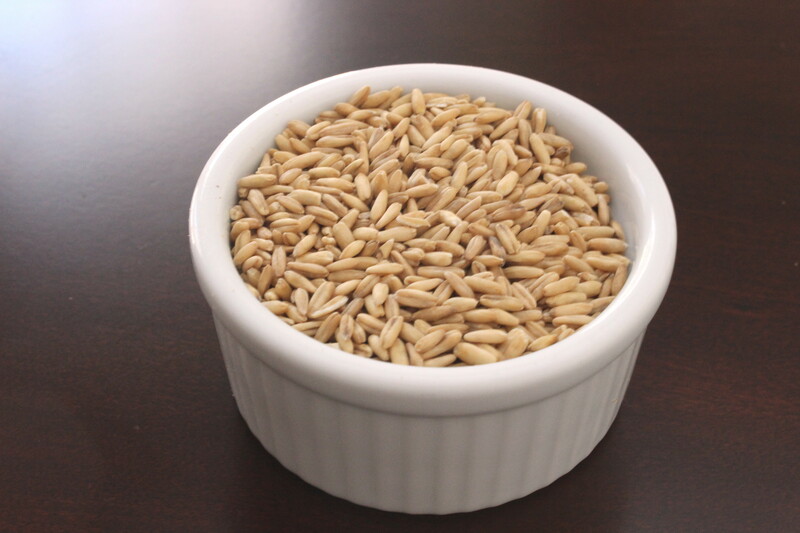 I don’t find them off-putting, and if you haven’t adequately labeled your groats, (they all have a very similar appearance) you may wind up using oats by mistake and never know the difference. (I’ve done this.) Rye, on the other hand, has a distinctive rye flavor. I don’t really use rye much, because I’m just not creative/intuitive enough to know what that flavor works with. Now then, on to buckwheat. I’m putting this in it’s own category. 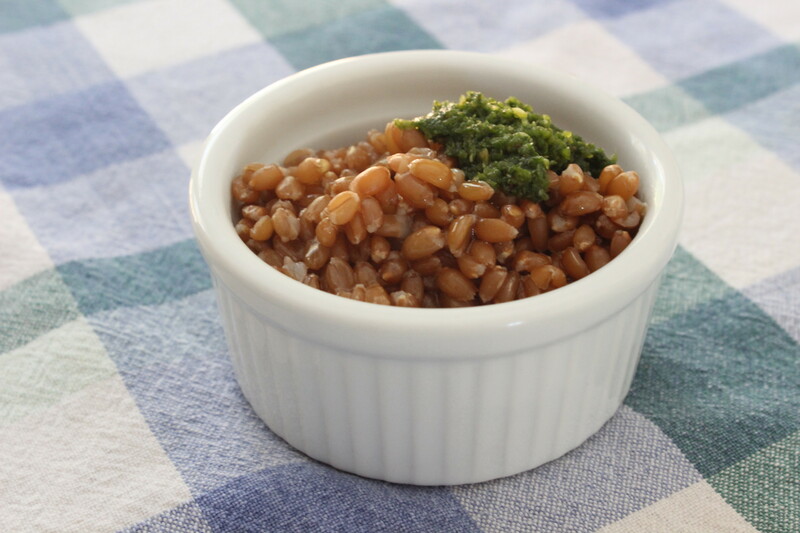 First off, what I am discussing here is roasted buckwheat, also called Kasha. This is my second try at buckwheat. 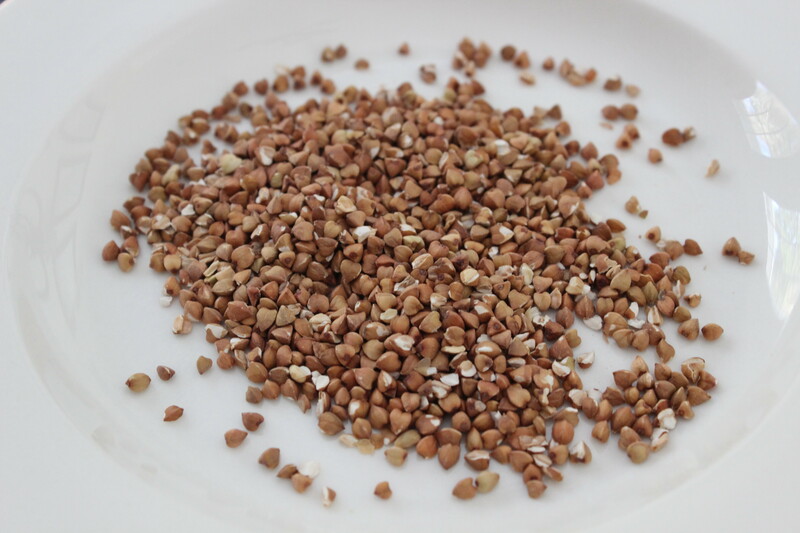 A year or so ago, I bought some plain, unroasted buckwheat. It was horrendous. It makes its own snot as it cooks is mucilaginous. Oh dear God, it was sooooooo gross. Kasha. Not as snotty as its unroasted twin. I’ve eaten a lot of terrible stuff in my life, but this stuff? One. Bite. Noooooooooooooooope. 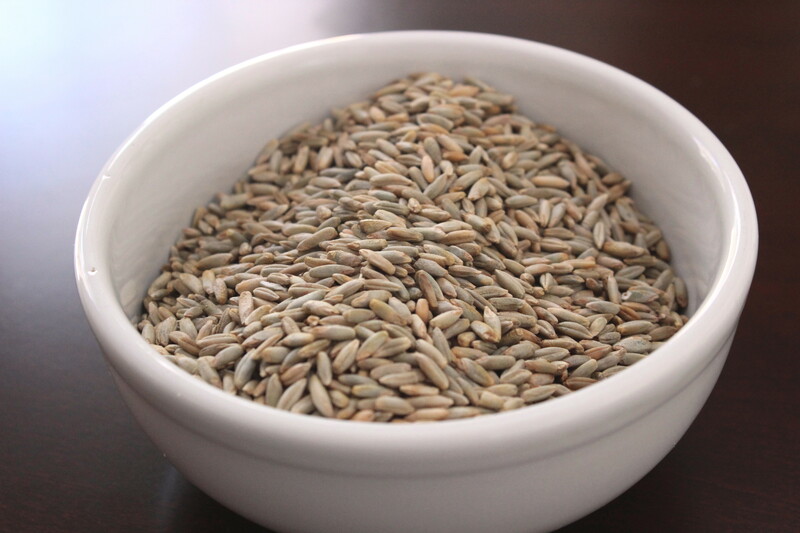 The other groats have a place in this world–a chewy, filling, inexpensive, nutritious place. Kasha seems like an Iron Curtain hold-over, suitable for those interested in culinary self-flagellation. This entry was posted on January 8, 2014 by MusicianMama in Generally Bad Advice, Unsavory Activities, What Are We Eating? and tagged archer nope, diabeetus, dr. fuhrman, groats, Kamut, Kasha, sarah melamed, spelt, vegan, vegetarian, wheat berries, whole grains, wilford brimley, zhug.